Tracking Santa is a timeless tradition of Christmas. We’ve been doing it for more than a quarter century! In this special episode of the Merry Little Podcast we recap the breaking news from the North Pole from last Christmas Eve. It showcases in a small way just what the epic 50-hour Christmas Eve broadcast from Kringle Radio is like. 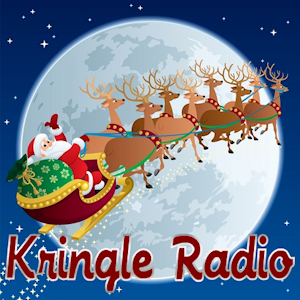 Kringle Radio is our sister site, a year round stream of commercial free Christmas that gets taken over by elves on Christmas Eve. 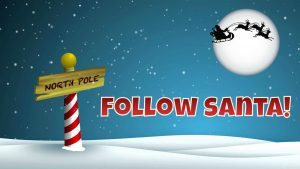 From the moment Christmas Eve dawns in the South Pacific until Santa returns to the North Pole on Christmas morning the elves track Santa with music, good humor and timely reports. This episode of the Merry Little Podcast, in fact, is hijacked by one of those elves. His name is Elf Crash Murphy and he has a special assignment on Christmas Eve. He reports on Santa from a sleigh following him around the world. So you’ll hear his voice a lot on the podcast and in the news from last Christmas.